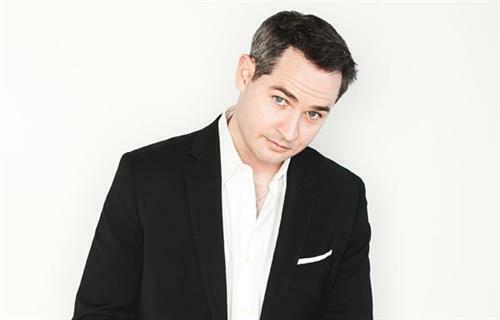 DuCAP hosts "Comedy With A Cause" at Zanies in Rosemont with featured comedian Pat McGann. Pat McGann appears regularly on Sports Talk Live, Windy City Live, WGN Morning News, WGN Radio and ESPN Radio. He also created and hosted the Emmy nominated televison show "The Chicago Stand UP Project." This is a 21 and over event with a valid photo I.D. Doors open at 7pm, show begins at 8pm. There is a 2 item minimum purchase during the show. Tickets can be purchased by calling Jess Raines at 630-414-8128 or online at www.ducap.org. Tickets are $25 per person. 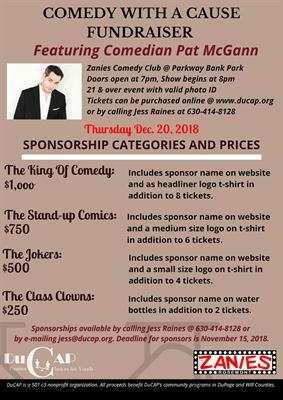 DuCAP is a 501(c)3 nonprofit organization and all proceeds from this fundraiser will benefit DuCAP's community programs within DuPage and Will Counties. Sponsorship opportunities are also available. Thursday December 20, 2018. Doors open at 7pm, show beings at 8pm.